What springs to mind when daydreaming about Italy’s culinary trademarks? Pizza? Pasta? Wine? There is no doubt that Italians have long perfected these three, but you may be unaware of Italy’s recent booming craft beer revolution. In the kitchen, Italians use only the finest and freshest ingredients and hold almost sacred the process, methods and traditions involved in their cuisine creations. This same mastery and artfulness is also witnessed in their brewing, and is the reason Italy is quickly becoming a world-class craft beer destination. 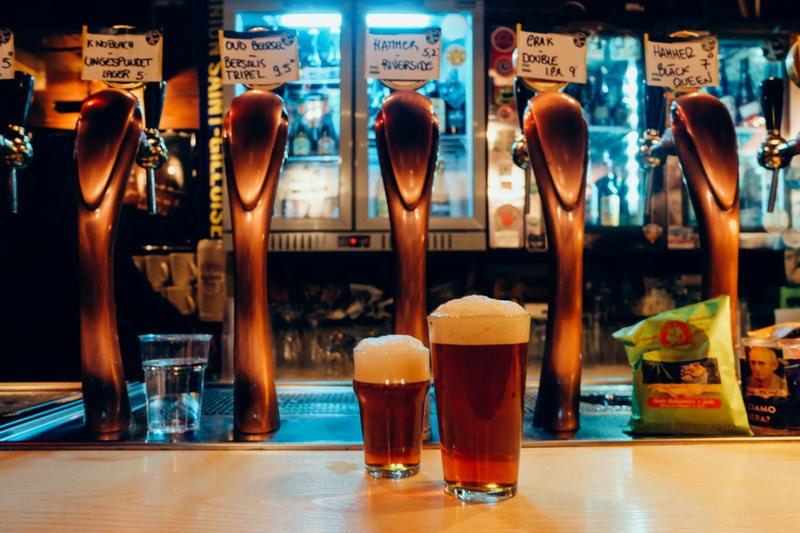 The heart of the craft beer movement lies in the country’s capital, so plan your next trip to Rome for at least three days (so you have time to sight-see between beers) and refer to the following list for the best beer lover destinations in the city! Pro Tip: Plan your stay in Rome’s Trastevere neighborhood. The name means “beyond the Tiber [River]”, and while a bit removed from Rome’s central tourist hub, it is home to some of the city’s best beer spots and still only a short walk from Rome’s main sights. The neighborhood is perfect for wandering (and getting lost in the winding cobbled streets), and imagining yourself as a true Roman rather than a tourist. This beer shop in Trastevere is a great place to start the night or alternatively to end it by buying a couple of bottles to take back to your hotel/Airbnb as they are open quite late (until 3am). 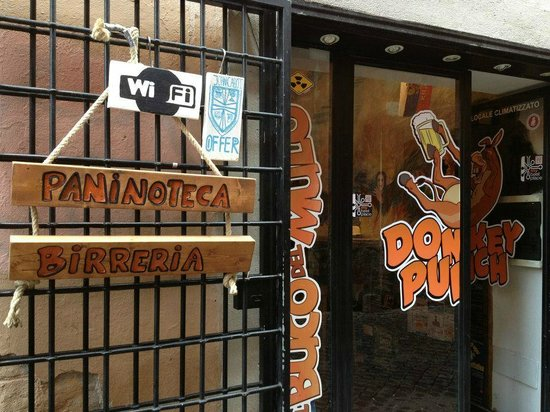 They have an impressive collection of beers from all over and make a wide variety of tasty sandwiches that you can customize. The store is small, colorful, and quirky and the employees are chatty and friendly. Head over to Bir & Fud at lunch or dinner time with your appetite good and ready to devour the amazing food here. Definitely try the wood-fired pizzas, which are reason enough to stop by in and of themselves. Their pizza dough has refreshing hints of sourdough- perhaps made with brewer’s yeast. Here there are over 30 beers on tap of all styles (including a few cask ales), with the focus primarily on the wide-range of Italian brews, although IPAs and Belgian styles are extremely popular as well. The bar itself is very narrow, lively and crowded and it is not unlikely that you will find yourself chatting with the international and Italian patrons beside you- the American standard of personal space does not seem to exist here. Sample a few different styles and if you are lucky enough to find that they still have it on tap-the cinnamon cask ale was heavenly and unforgettable. 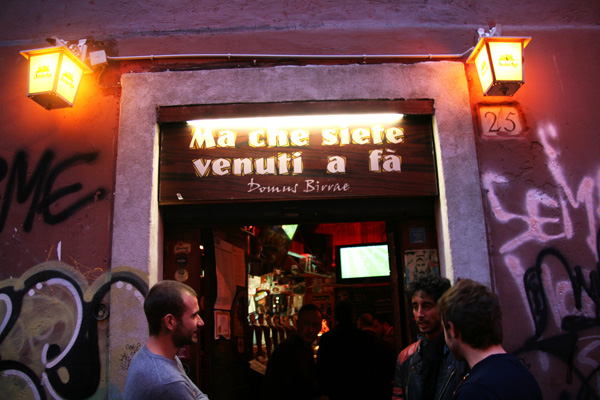 Let Ma Che Siete Venuti A Fà be the end to your fantastic beer-filled night, conveniently located across the street from Bir & Fud (by this point we know you might not be able to walk much farther). Despite the name, which means “What the Hell Are You Doin’ Here?”, the staff is super friendly, the bar feels unpretentious and yet they take their craft extremely seriously. Bartenders take their time in pouring the beers with extreme precision and while the draft list is smaller than other beer bars in the area (about a dozen on tap), the beers are carefully chosen and are a showcase of some of Italy’s (and Europe’s) finest brews. 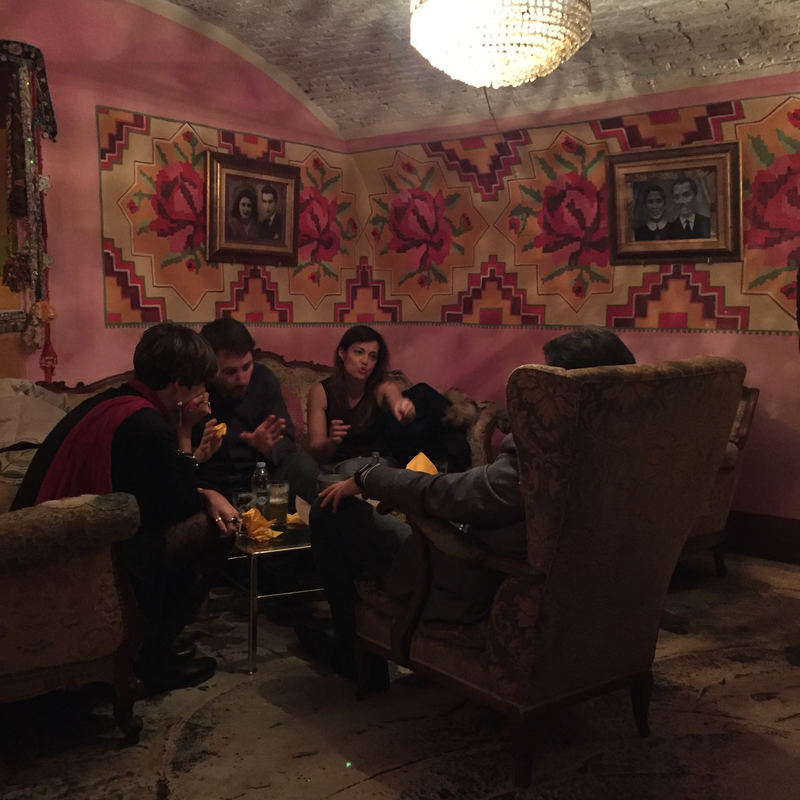 It is a small space, unassuming and almost a hole-in-the-wall type bar with dozens of people coming in and out in the evenings, and from the moment you walk in you feel comfortable there. Definitely don’t miss this craft beer gem. Pro-Tip: Use the Google Maps app to save an “offline” map of Rome, “star” your hotel/Airbnb, and navigate Trastevere with ease to find your way home (or to the next bar!). 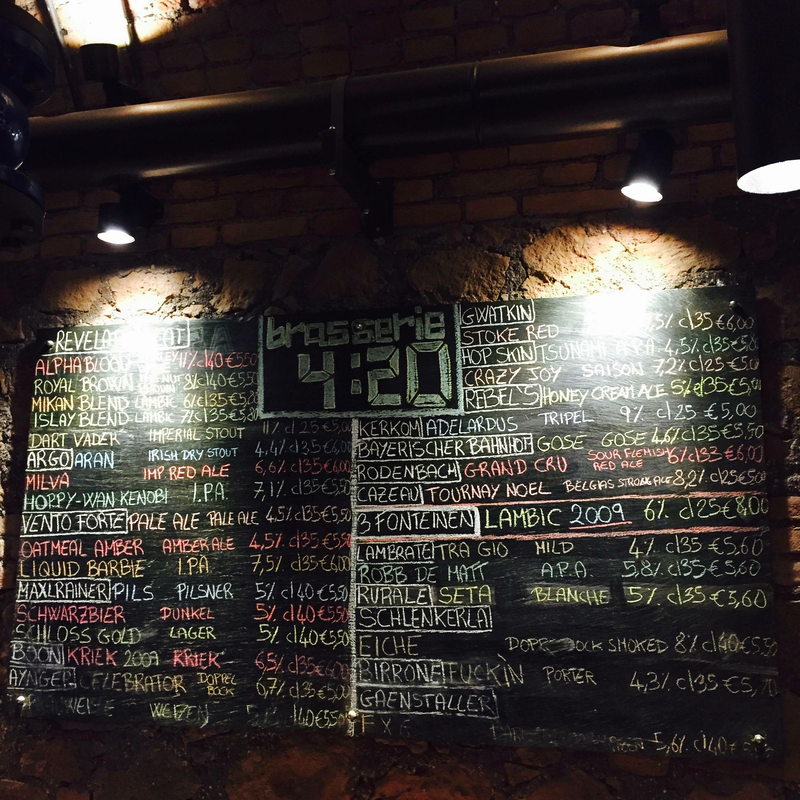 It takes a bit of meandering through Trastevere to reach Brasserie 4:20, but this beer bar could not be more worth the stroll. On the way, you will have the opportunity to pass by one of Rome’s ancient gates that was within the original city walls and observe the juxtaposition of the surrounding area’s industrial, modern vibes. Be sure to arrive with an empty stomach because Brasserie 4:20 has more than 30 beers on tap from Italy and many from around the world, and also serves delicious food. The place is very open and has plenty of seating around the bar so you can sit and chat with the friendly bartenders. The owner also heads Revelation Cat Brewery so it is a great place to sample a beer from this excellent Italian brewery. As an avid traveler, the owner is constantly discovering rare and unusual brews from the corners of Europe. 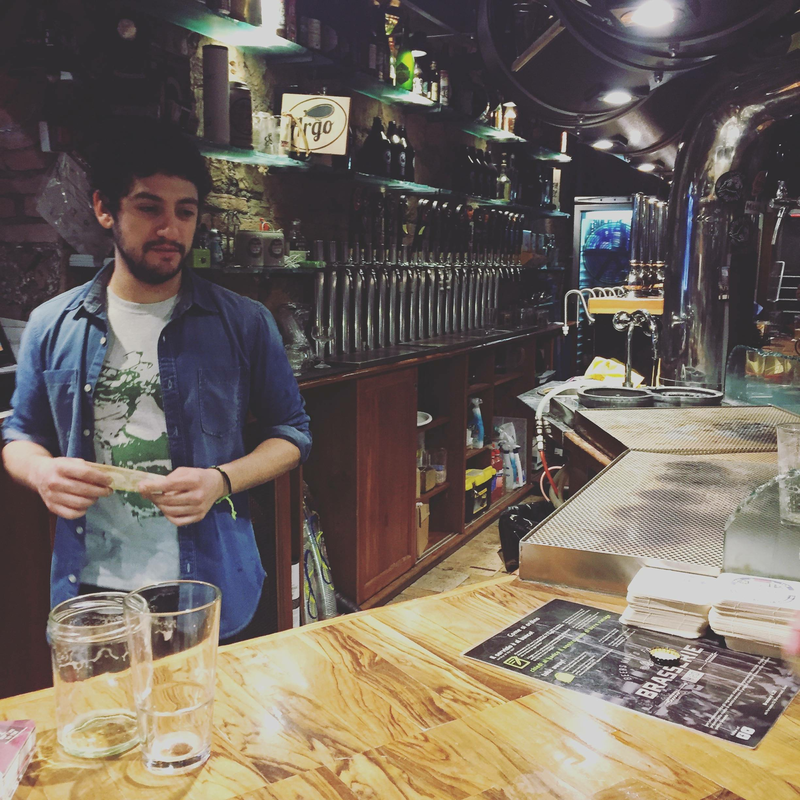 Just across the river from Trastevere in Rome’s Campo de’ Fiori district, this brewpub is the crown jewel of Rome’s beer scene. The brewery itself, Birra Baladin, has many locations around the country and this one cannot be missed. Be prepared to wait for a table; even though the space is huge with two stories, it is well-visited and for good reason. 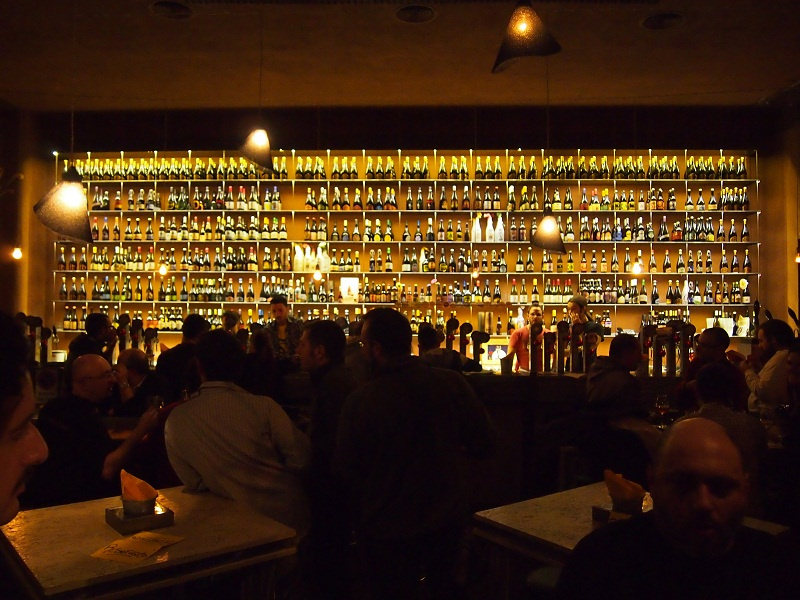 In the main bar downstairs, a wall lined from floor to extremely high ceiling showcases hundreds of Italian beer bottles displayed artfully on glass-lit shelves. The upstairs has a couple different rooms with quirky and colorful decorations and comfy, antique chairs and couches. The reason you will stay and find yourself returning, though, is the massive tap list full of tons of beer styles and accompanied by choice homemade pub food. The staff is knowledgeable, passionate about beer and extremely helpful if you are overwhelmed by the choices before you. There is no shame if you stop by twice in the same day (I know I did)! 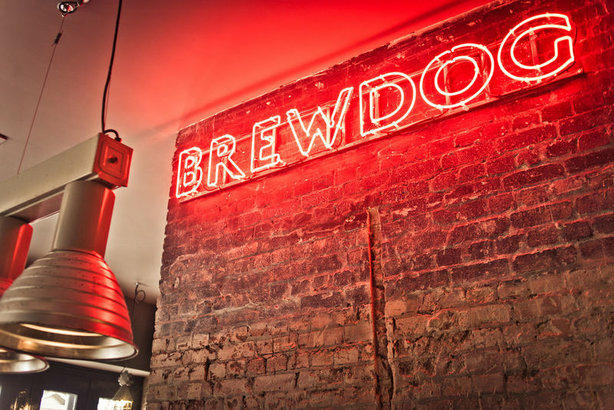 Take it easy on your last day in Rome and stop by one of BrewDog’s highest profile locations for a great selection of their consistent and well-crafted beers and also a variety of guest taps. It’s also located in the tourist heart of the city, right by the Colosseum. It is definitely worth a visit in between your sightseeing as you will not have to go out of your way in the slightest, and especially so if you’re a fan of the Scottish brand and their success story of becoming a major label in recent years. BrewDog also never disappoints in their unique bar food and vegetarian options. It is a smaller space and as is their signature style, there is exposed brickwork and a comfortable and welcoming layout. Pro-tip: Plan your trip to Italy during the off-season. While Rome will always see its fair share of tourists, the winter is a great time to visit, the weather is not bad and often more pleasant for walking than the summer’s intense heat and humidity. 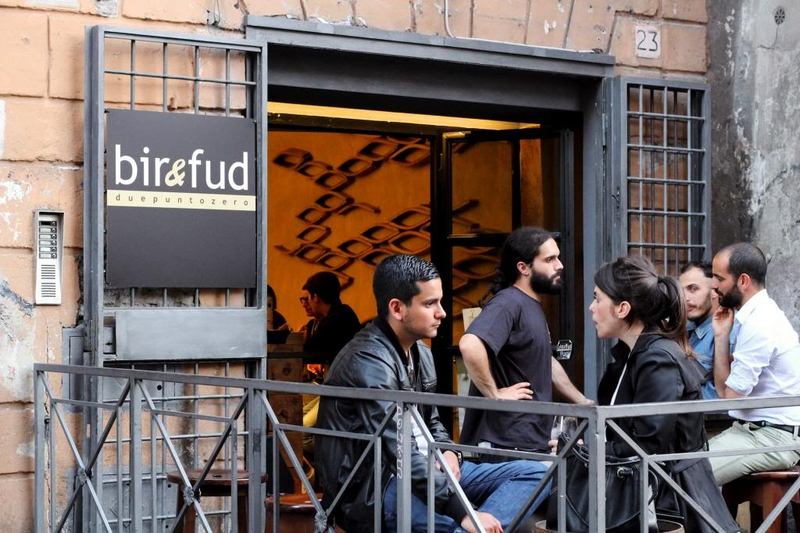 Where are your favorite craft beer spots in Rome and beyond? Comment below to share your discoveries!